Today, I want to share some of my best sources for fresh MLM Leads. I would personally define a fresh MLM lead as someone who has requested information about joining YOUR network marketing company within the past 72-hours, and hasn’t been contacted by anyone else yet. Obviously, a lead is not a lead. Not all leads are created equal. That’s how I see it. A lead that you generate yourself will always be a better qualified lead than one that you buy from a vendor. Buying leads is better than doing nothing at all, but learning to generate your own leads is much better and wiser. With that being said, learning how to generate your own leads can be a big challenge for some people. There is a steep learning curve required. It will require patience, time and money. Today, I’m going to share 10 simple things you could do to create your own fresh MLM Leads. Please don’t try to do every strategy on this list. Just find one or two strategies that make sense to you and focus on those exclusively. Keep in mind, these strategies are listed in no particular order. I believe local events are the best source for fresh MLM Leads. You could set up a vendor booth at one of these events, either by yourself, or with another team member. You could have a professional table layout, product samples, and information about your opportunity. You can “mingle” with the people who visit your booth and collect leads. Try to get everyone to fill out some type of form, so you can follow-up with each person after the event. Your number one objective at the event is to collect people’s contact information. Have a raffle to do this. In some cases, you can easily generate 100+ leads in one day. Be sure to talk with the other vendors at the event as well. These will be some of your best prospects. Finally, if you can’t afford to set up at a local event, go as an attendee and network with people you meet there. Facebook Live is easy to do and is extremely powerful. You could start doing a daily Facebook Live on your personal Facebook page. You could start educating your friends and family about a specific topic, without ever mentioning the name of your company or products. For example, if you sell weight loss items, you could share your own weight loss story, or educate people about different tips and strategies to drop those extra pounds. At the end of each video, you could have a strong call to action asking people to private message you, or call you, if they’d like additional help or have questions. Your real goal is to educate people, spark curiosity, and get people to contact you first. Postcards are a great way to get qualified leads for your network marketing business. You could come up with a creative postcard, buy a targeted mailing list, and start mailing postcards every day. Make sure your postcard is generic and doesn’t say the name of your company or product. Give away something free on the postcard, such as a free eBook, video, or special report, and use a two-step selling process. The key to postcards is to have a good mailing list, a good offer, and to mail postcards every single day. You can’t just mail a few postcards here and there and expect much. You want to mail at least 1,000 postcards per month. On your postcard, be sure to send your visitors to a capture page, so they can become a lead and start receiving your auto-responder messages. 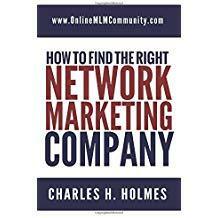 Current customers are a great source of fresh MLM Leads. You could ask all of your existing customers who they know who might be interested in becoming a customer or distributor. You could even pay your existing customers for referrals, similar to a finder’s fee. You should also ask all of your customers if they would like to upgrade their account to a distributor, and start buying the product or service at wholesale cost. This strategy is not for the feint at heart or someone with a tight budget. You will need a big budget and a steep learning curve to get this going smoothly, but it’s worth considering. You could use Google, Facebook, Bing or another pay-per-click vendor, create your own ad, and start generating leads. I’ve been using this strategy for almost ten years now and absolutely love it. Once you figure it out, it’s wonderful, because you can turn up and turn down your advertising whenever you want. You can easily scale your efforts, just by raising your budget. Linkedin is a great source of fresh MLM leads, if you go about it the right way. You could create your own groups, write articles, update your personal profile, or even do Linkedin paid ads. Most people on Linkedin are there to network and enhance their career. This is a great platform for network marketers, when you do it right and don’t spam people. You could team up with a local business, preferably a “mom and pop” style small business. You could do a fish bowl raffle for a free product. Basically, you put an empty fishbowl next to the cash register. Each person must fill out a small piece of paper with a few simple questions to enter the raffle. The questions ask each person if they would be interested in learning more about the products or business. You pick a winner for the contest, and follow-up with everyone else as well. In many cases, you can generate 100-200 fresh MLM leads in just a few days. Creating an email signature just makes sense. Most people send out at least twenty to fifty emails per day. What you would do is create a catchy email signature that does not mention the name of your company or products. Your goal is to pique the other person’s curiosity. Your email signature is automatically attached to every email you send out and every email you reply to. Your recipients will get your email, and if they are interested in learning more about what you are offering them, they will click on your link or give you a call. Another great source of fresh MLM leads is a car magnet or car sticker. Whatever you do, do NOT mention the name of your company on the sticker. Keep it generic. Have a sticker that says “Fire Your Boss” or “Drop Those Last 20 Pounds” and provide your email or phone number on the sticker or magnet. Every time you drive to work, or do errands, your magnet or sticker will be working for you. Yard signs are a great source of fresh MLM Leads. Please just check your HOA and local zoning laws first, so you don’t get yourself in legal trouble. Provide a catchy headline, a call to action, and a way for people to contact you to learn more. Solo Ads are one of my favorite sources of fresh MLM leads. A solo ad works like this. Someone has a large targeted email list geared around a specific subject. For a fee, you can send the list owner your email and then they will email it out to their subscribers on your behalf. I run solo ads each week and do very well with them. They are the quickest way I’ve found to generate fresh MLM leads. You can learn more about solo ads here. There you have it folks. These are some simple ideas on how to get more fresh MLM leads. Keep in mind there isn’t one secret strategy. Simply find one or two strategies that resonate with you and focus on those exclusively. You’ll be glad you did! What are your thoughts? What do you do to get fresh MLM leads? Leave a comment below to share your favorite strategy. I look forward to hearing from you. The fish bowl technique has worked well for me. The best luck I’ve had is at barber shops and dry cleaners. I normally give the owner a free gift and offer to enroll them in the business for free and put anyone who joins from the fish bowl on their team. Hope that helps. Thanks for stopping by.